Manufactured from exceptional, innovative BETA polymer fabric, the Ashaway Zymax 69 Fire badminton multifilament string provides unmatched durability and strength while maintaining proper tension throughout the complete usability period. Featuring ZyWeave core, the string ensures, perfect elasticity with excellent repulsion, while remaining durable in the most demanding circumstances. This 21 (0.69mm) gauge string arrives in 200m (656ft) reel. 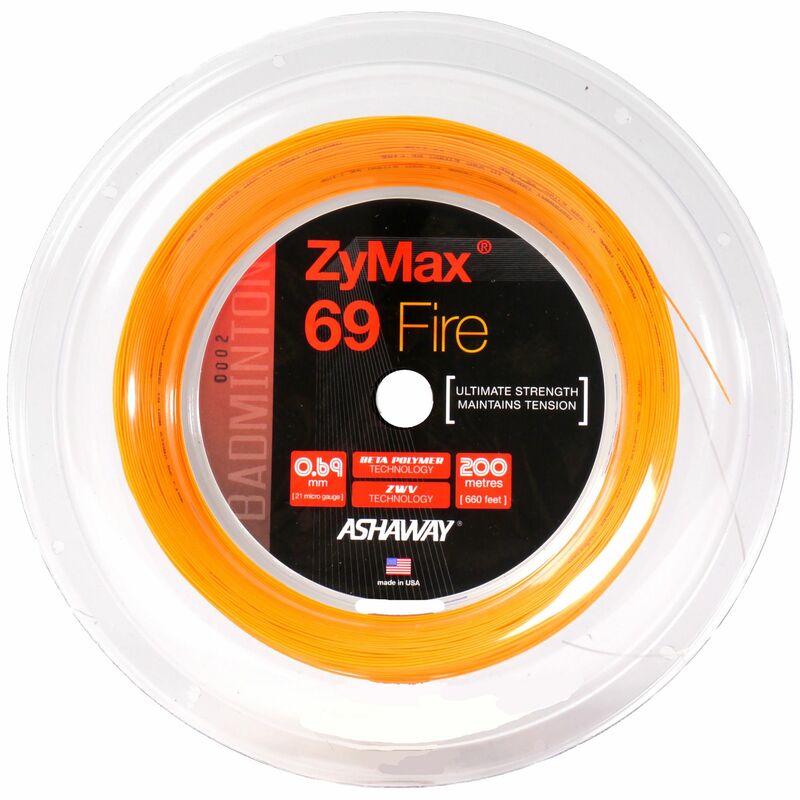 for submitting product information about Ashaway Zymax 69 Fire Badminton String - 200m Reel We aim to answer all questions within 2-3 days. 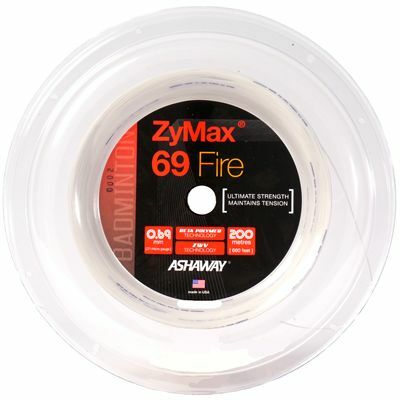 for submitting product information about Ashaway Zymax 69 Fire Badminton String - 200m Reel. We aim to answer all questions within 2-3 days. If you provided your name and email address, we will email you as soon as the answer is published. for submitting product review about Ashaway Zymax 69 Fire Badminton String - 200m Reel.